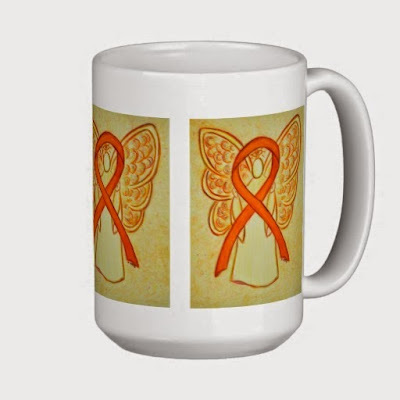 The orange awareness ribbon color means support for Multiple Sclerosis, Leukemia, Self Injury, Animal Cruelty, Attention Deficit Hyperactivity Disorder (ADHD), Kidney Cancer, Chronic Obstructive Pulmonary Disease (COPD), Muscular Dystrophy, Teen Dating Violence, and Underage drinking awareness to name a few. 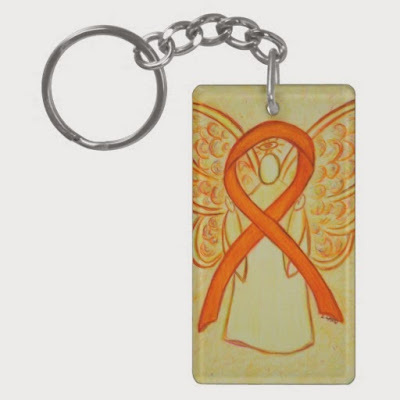 Let this awareness ribbon be support of them and the other awareness causes that use the orange ribbon color! 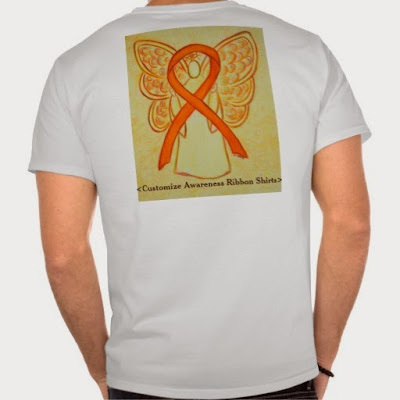 Let this awareness ribbon angel be support of them and the other awareness causes that use the orange ribbon color! 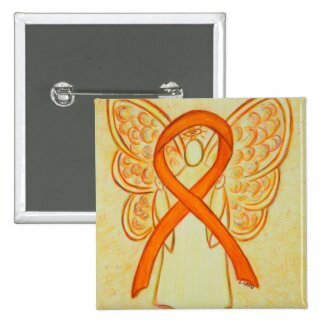 Follow Awareness Art Gallery & Ribbon Gifts’s board Orange Awareness Ribbon on Pinterest. 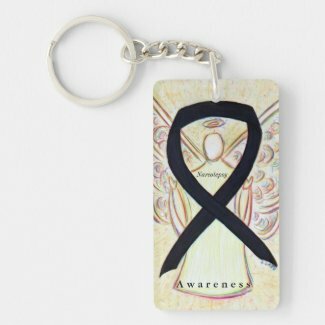 Annually on March 18th is World Sleep Day. 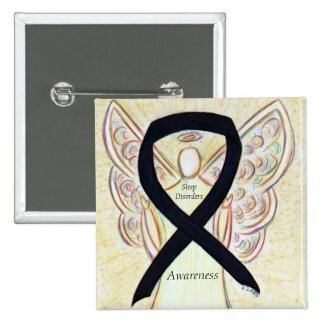 The black awareness ribbon supports awareness for narcolepsy and other sleep disorders. World Sleep Day is intended to be a celebration of sleep and a call to action on important issues related to sleep, including medicine, education, social aspects and driving. It is organized by the World Sleep Day Committee of the World Association of Sleep Medicine (WASM) and aims to lessen the burden of sleep problems on society through better prevention and management of sleep disorders. 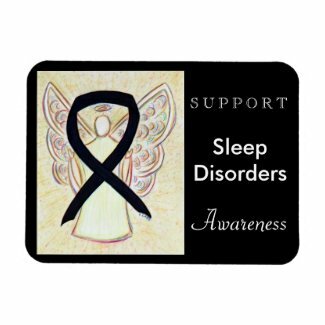 Learn more about World Sleep Day at worldsleep.org. 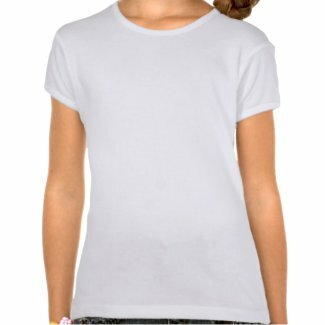 International Women’s Day (IWD) occurs annually on March 8th. 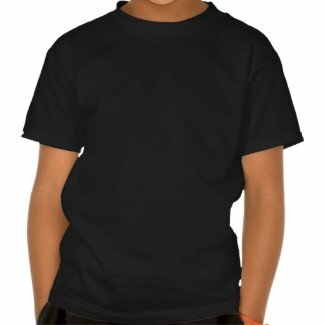 IWD is used to celebrate the social, economic, and cultural achievements of women across the world. The 2016 IWD also had a theme of gender parity. 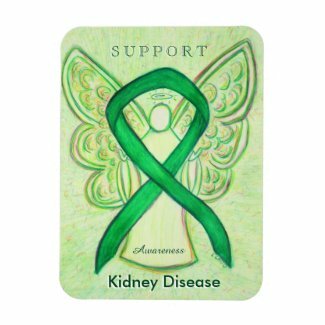 The color purple is used to show awareness for this cause. 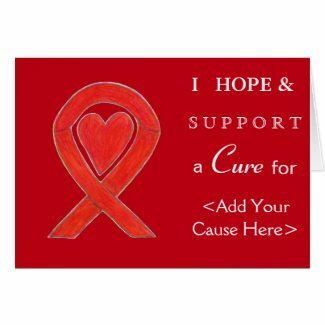 Red Awareness Ribbon is for AIDS/HIV, Cardiovascular (Heart) Disease, Stroke, Alcohol Substance & Drug Abuse, Blood Cancer, MADD (Mothers Against Drunk Driving), DARE (Drug Abuse Resistance Education), Hemophilia (Project Red Flag), Disaster Relief, Marfan Syndrome, Epidermolysis Bullosa (EB), Hypertension (High Blood Pressure), Love, and more. 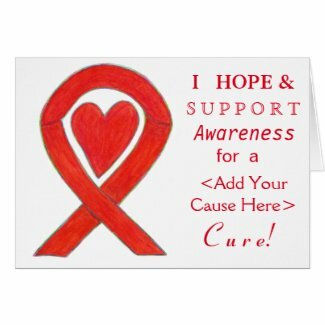 Let this Red Ribbon Heart help bring awareness to these causes! 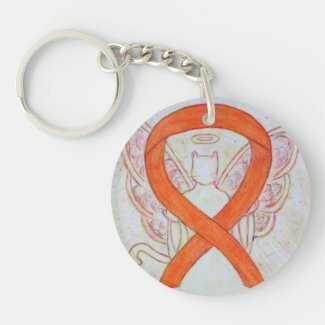 Buy this Red Awareness Ribbon Angel on the Awareness Gallery Zazzle Gift Store or CafePress Unique Gifts Store! 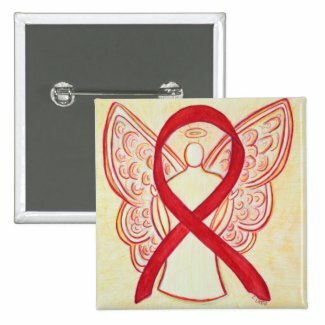 View the images and pictures on the Red Awareness Ribbon Pinterest Board. 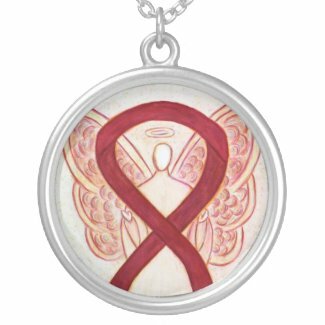 The Red Awareness Heart art features a multicolored red awareness ribbon around a heart with radiating lines from it. It was rendered with watercolor pencils on watercolor board. 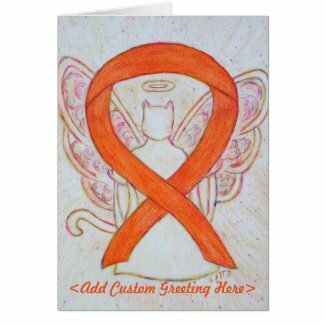 Let this Red Ribbon Angel help bring awareness to these causes! 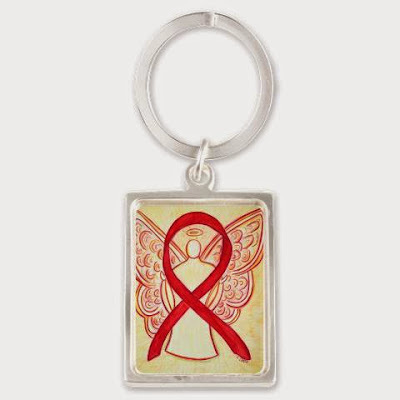 The Red Awareness Angel art features a multicolored angel holding a red awareness ribbon. It was rendered with watercolor pencils on watercolor board. 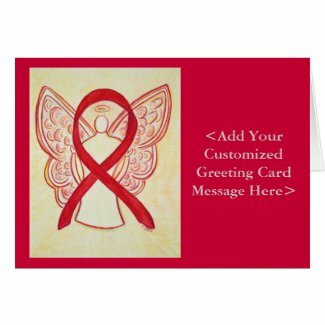 The burgundy ribbon color means support for Brain Aneurysm, Cesarean Sections, Disabled Adults, Factor V Leiden, Headaches & Migraines, Hemangioma and Vascular Malformation, Hereditary Hemochromatosis, Hospice Care, Lymphatic Malformation, Meningitis, Meningococcal Meningitis, Multiple Myeloma, Polio Survivor, Post-Polio Syndrome, Sickle Cell Anemia, Thrombophilia and other Coagulation or Blood Factor Disorders, and William’s Syndrome Awareness. 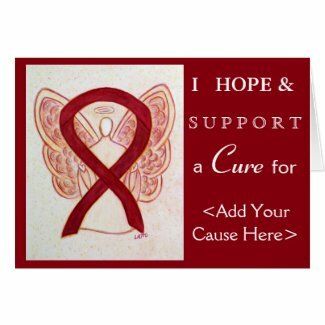 Let this burgundy ribbon help bring awareness! 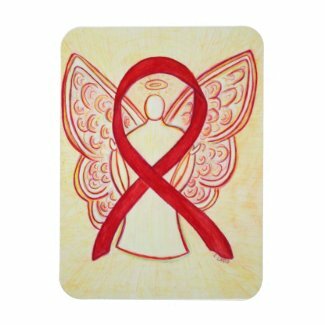 Let this Burgundy Ribbon Angel help bring Awareness to these causes! 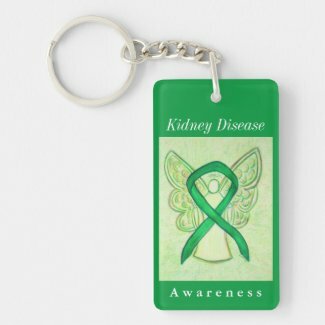 Awareness Gallery Zazzle Gift Store or Cafepress Unique Gifts Store! 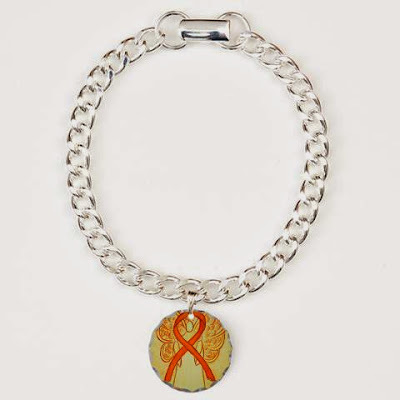 View the images and pictures on the Burgundy Awareness Ribbon Pinterest Board.